This post is all about why it is super important to read directions and recipes ALL THE WAY THROUGH before starting. Or else, you could end up with 13 pounds of pumpkin worth of pumpkin puree…. I mean there literally isn’t enough days in the Fall for me to make a pumpkin-flavored snack every day. Like most girls, I look forward to fall for the following reasons: Scarves make my giddy, Sweatshirts cozy my heart, Fall leaves are one of the most beautiful things, and duh- Pumpkin Spice Lattes are back at Starbucks! Hu-Low! L.L.P.S- Ladies Love Pumpkin Stuff. I became obsessed over the last few weeks over pumpkin ravioli and of course I wanted to make the whole shabang from scratch. So I did some research and came across a Martha Stewart recipe that I decided I would use as my starting point. I want you all to see what I see. This is the link to the Martha recipe. Does that look like 1, 3 pound pumpkin or a 13 pound pumpkin? Because yours truly read it as 13…. I’ve got a freezer full of pumpkin puree. I mean, I could eat pumpkin all day, but December 1 ends pumpkin season and starts peppermint & s’more season and there just ain’t enough time. Anyway, the Pumpkin Ravioli were a success. This may shock you, but when I try the DIY thing with food, it typically ends in a total disaster. 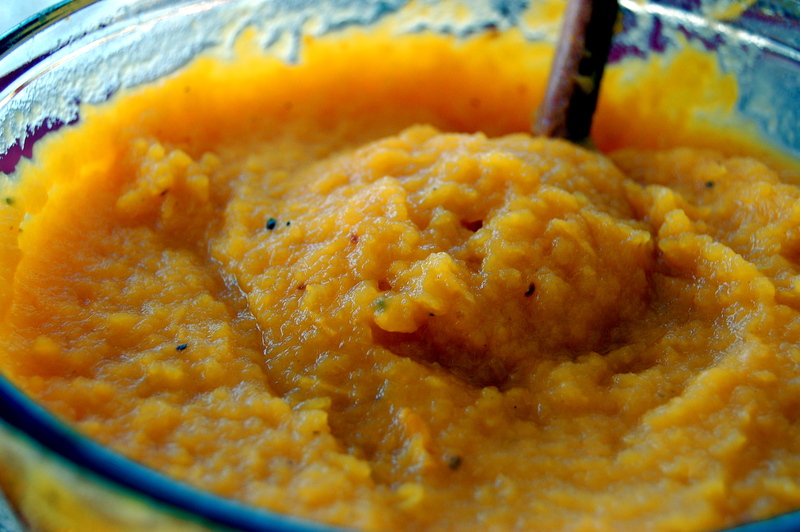 Yes it is easier to but a can of pumpkin puree, but there’s just something about a fresh pumpkin. And as for the homemade pasta- I mean, talk about a party trick! And it’s super simple! Of course, you can buy pre-made pasta sheets too. 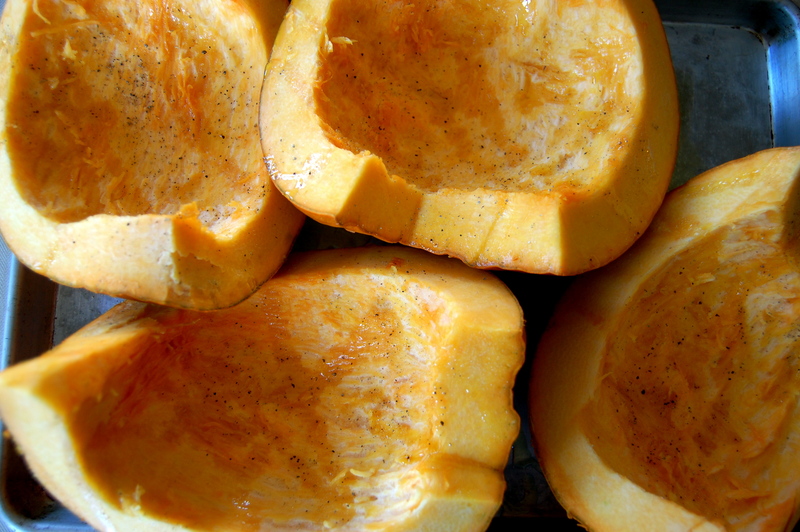 For the Ravioli Filling: If you are choosing to make your pumpkin puree, start by slicing a 3 pound pumpkin in half, drizzling it with olive oil, salt, and pepper, and roasting in a 400 degree fahrenheit oven to 60 minutes or until it is fork tender. This is a good time to roast an entire bulb of garlic for around 25-30 minutes. It will be used in the filling and in the brown butter sauce. Once the puree is cooled, add the ricotta cheese, parmesan cheese, egg, panko bread crumbs, shallot, nutmeg, cinnamon, garlic, sage leaves, and salt and pepper to taste. Combine until well mixed. Then, let set in the fridge for at least one hour. 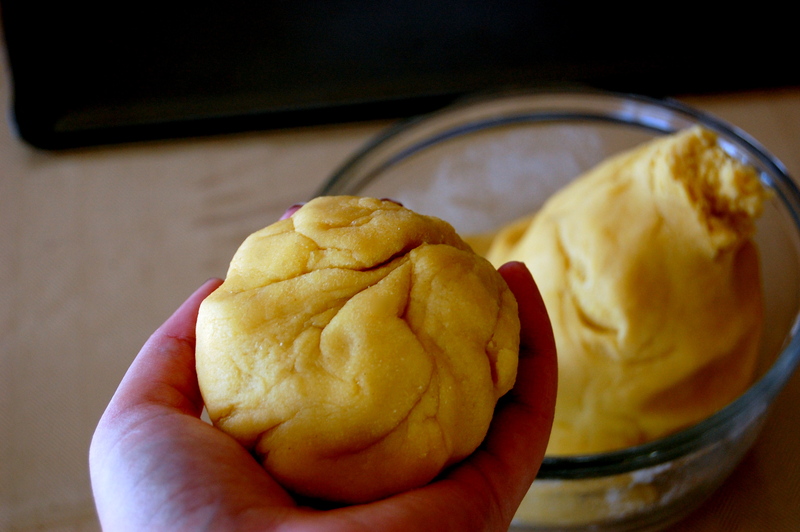 For the Pasta Sheets: While the pumpkin is roasting, prepare a clean surface to begin making the pasta dough. Pour your semolina flour into the shape of a volcano. 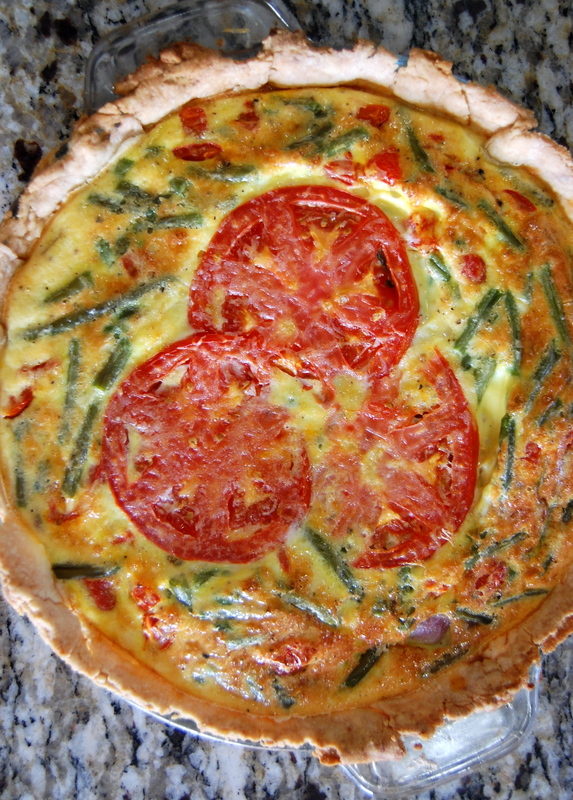 In the center dome, stir your eggs and olive oil. Then, slowly begin incorporating the flour into the center of the “volcano.” If it is too dry, add water a little bit as a time until it all comes together. The dough will feel rough at first. Kneed the dough for 5 minutes to soften it up. When the dough is ready, it will be smooth. Then cover and place in a cool, dark place for at least one hour. When it’s been an hour. Separate the dough into baseball size balls. Then flatten it into disks and place into the pasta machine in the number 2 setting. Then, run it through the machine again in the number 5 setting. If you are rolling your dough out, I’m sure you’ve eaten ravioli and I trust your judgement. ** This is a safe space, we do not judge, just eat. But in all seriousness, roll the dough out until it is about 1/4 inch thick. 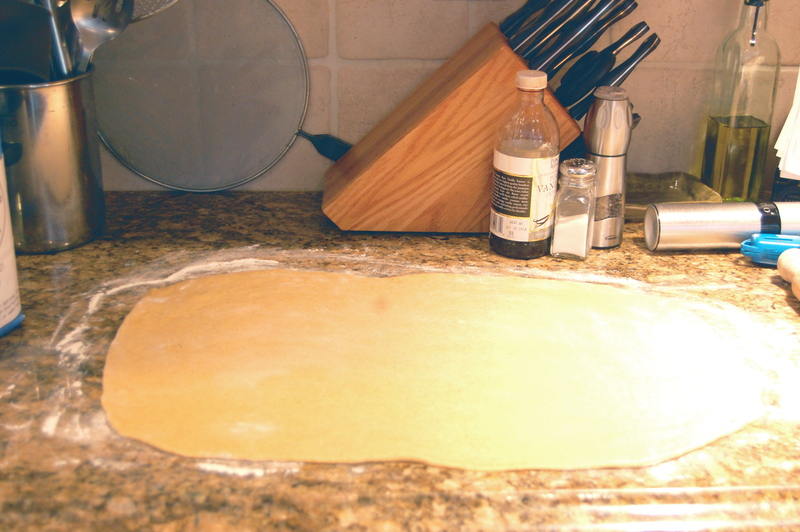 Lay the sheet flat and mark the center, as it is where you will fold the dough over. 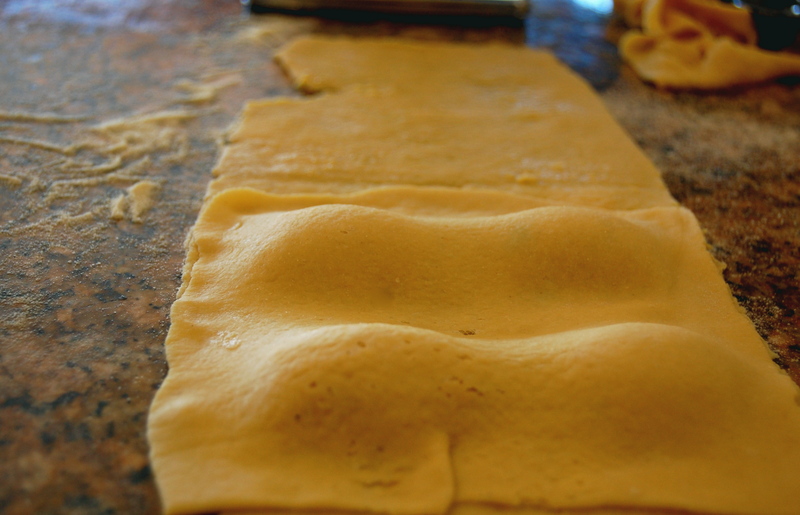 Using a ravioli cutter, create a ravioli blueprint on half of the pasta sheet by gently pressing the outline of the ravioli into the dough. Then, fill the center of your marking with a tablespoon of the pumpkin filling. 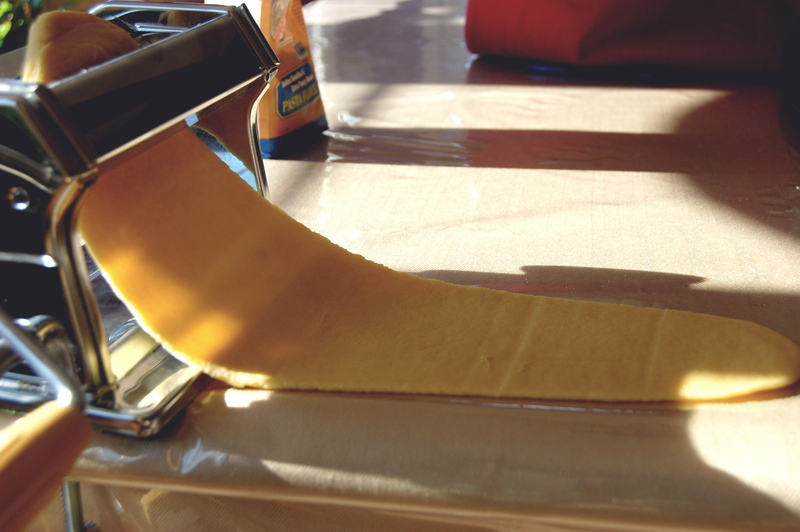 Fold the half of the pasta sheet over top and use the pasta ravioli cutter to cut out your ravioli. If you don’t have a ravioli cutter, you can use a cup to cut out little circles. Drop a teaspoon or tablespoon of filling, depending on the size, into the center of our circle. Then place another circle on top of the filing and close it by sealing the edges with a fork. Let the ravioli rest for one hour minimum before cooking. 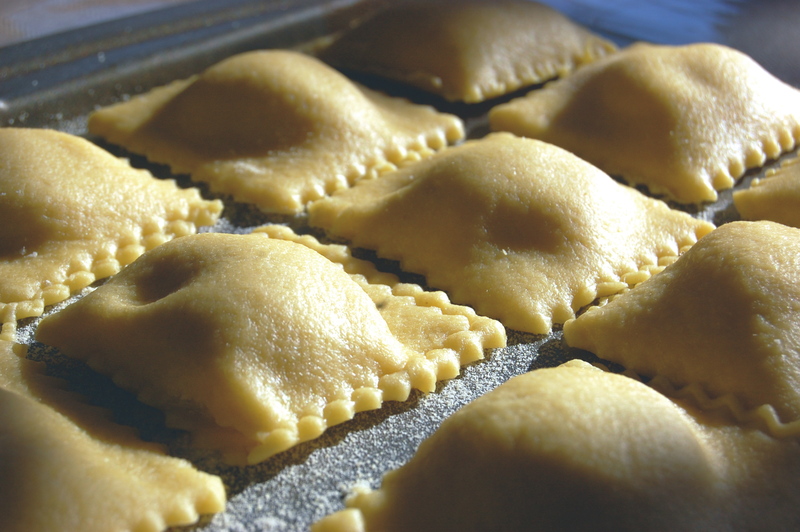 When ready to cook, drop into a salted, boiling pot of water 7-10 ravioli at a time. when the ravioli are done, they will float to the top. They cook in 2-4 minutes. For the Brown Butter Sage Sauce: Render the far from 6 slices of bacon, if desired. Once, brown remove form pan and set aside. Brown butter in a medium sized pan. To brown butter, you simply drop it in a pan on medium heat and stir constantly, but not crazy- just enough to keep your eye on it. As the butter browns it will bubble and foam. 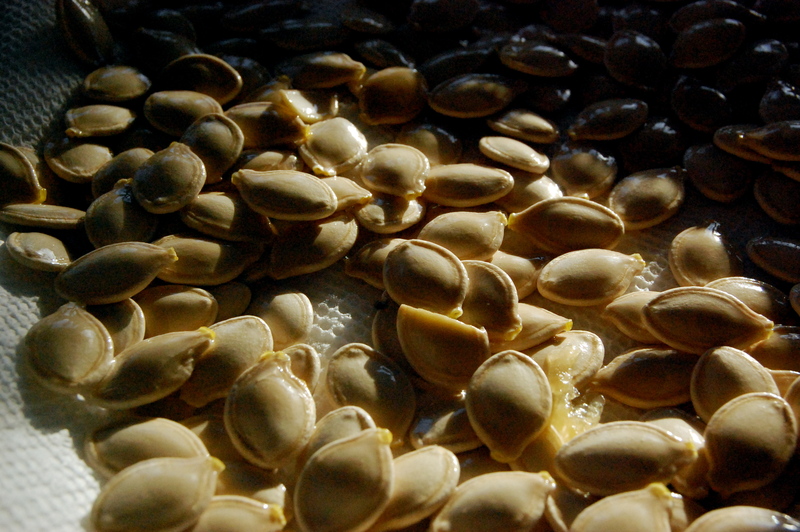 Once browned, add in pumpkin seeds, sage, salt, and pepper. Remember those garlic cloves you roasted earlier? Remove the cloves from that weird papery thing (clearly I’m not a professional), and add it to the sauce. Cook for about 15 minutes. It will get super thick and start to stick to the pan. Deglaze the pan with chicken stock and cook for another 10 minutes. Add more chicken stock, if needed. 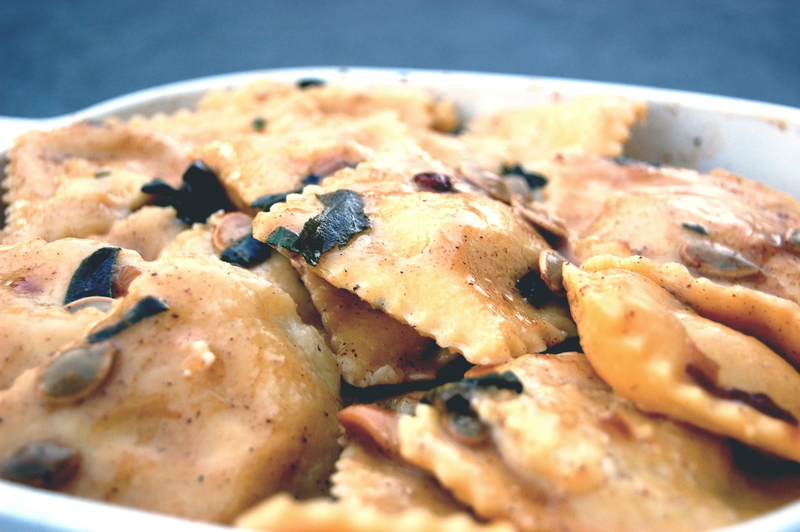 Then drizzle on top of the ravioli. and sprinkle with craisen and bacon which is optional. As complicated as this recipe seems, it really isn’t. it’s all about time management. 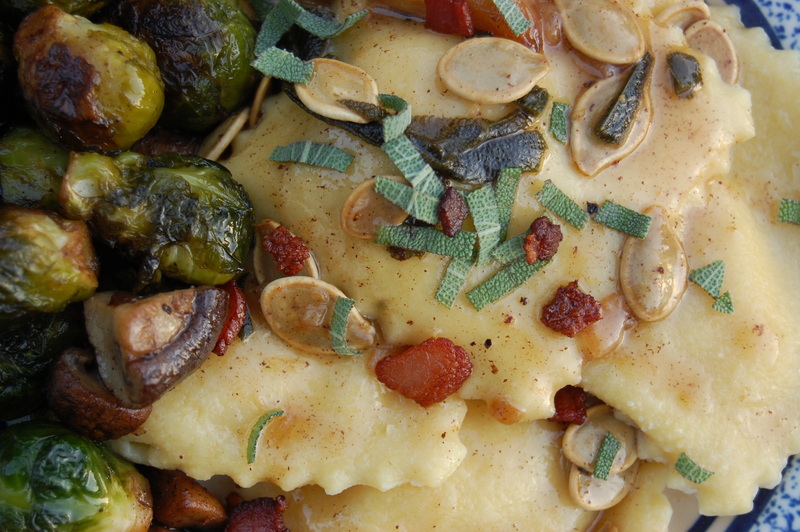 While the pumpkin in roasting, start on your pasta. While the pasta is resting make your filling and let it rest. Then form your ravioli. While they’re finishing resting, start of the sauce and BAM! 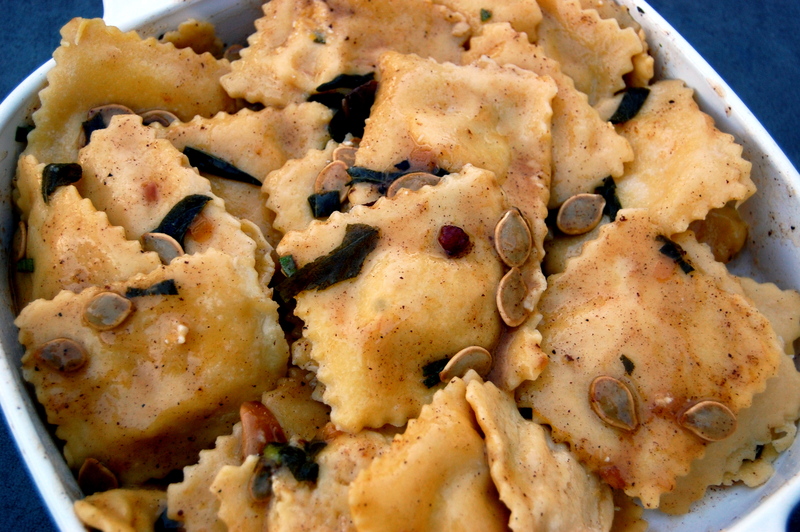 Pumpkin Ravioli. 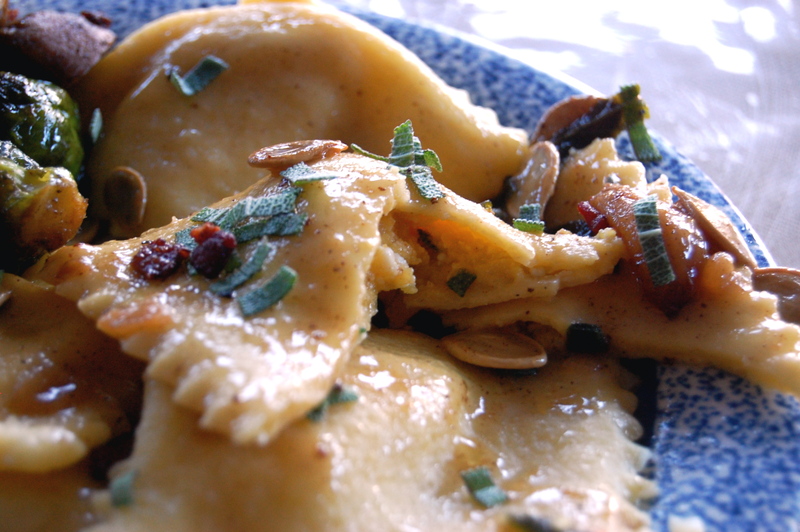 Sweet, sweet pumpkin ravioli. How I love you so. To make this vegetarian, leave out the bacon and substitute the chicken stock for vegetable stock. My absence has been for a good reason- in my mind. 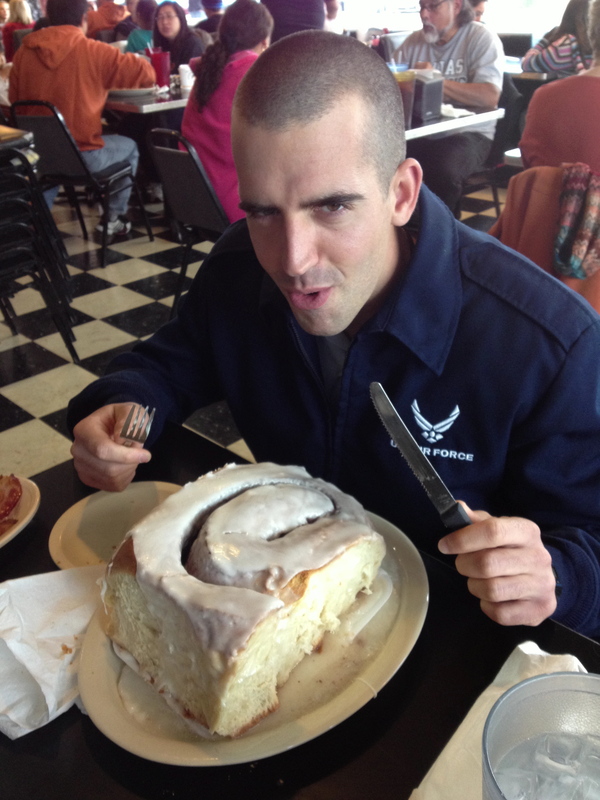 In my last post, I mentioned that my favorite Airman Josh was to be home for a two-week stint. My time was better spent enjoying his company than typing on the computer. But now he’s back in Florida so I am back with a ton of new recipes. 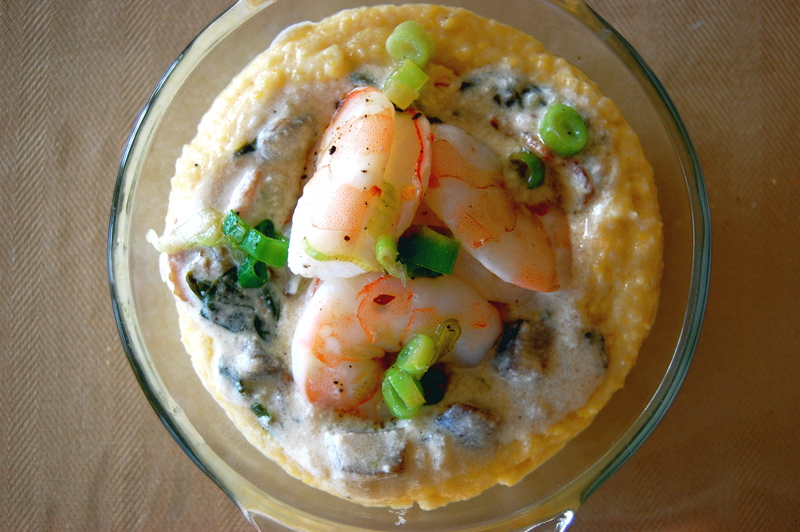 Before Josh came home, I wanted to perfect a recipe for our new favorite food- Cheese grits. More specifically, the Grits a Ya Ya from our favorite Pensacola, FL restaurant Atlas Oyster House. Not only did I recreate a dead-ringer for my Ya Ya love- I opened up Pandora’s box. And by Pandora’s box, I mean, I need to buy new pants because my waist-line is in for a rude awakening. This recipe is for the fearless. Not because it is difficult to make, but because it is truly scary how much cream and butter is in this recipe, which is why it is so good. It’s velvet on velvet. 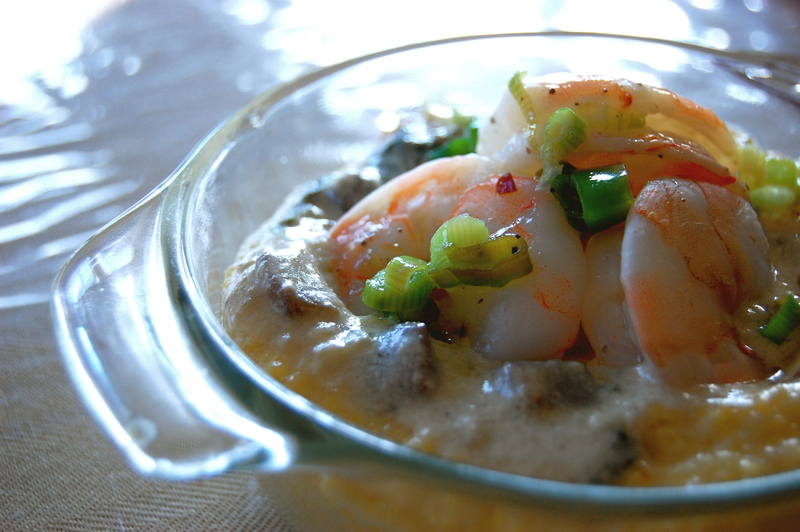 Creamy gruyere cheese grits smothered with velvety smooth Ya Ya sauce an topped with lemon and green onion shrimp. It’s just insane. You are probably wondering; what is Ya Ya sauce and why does this lady talking about it? 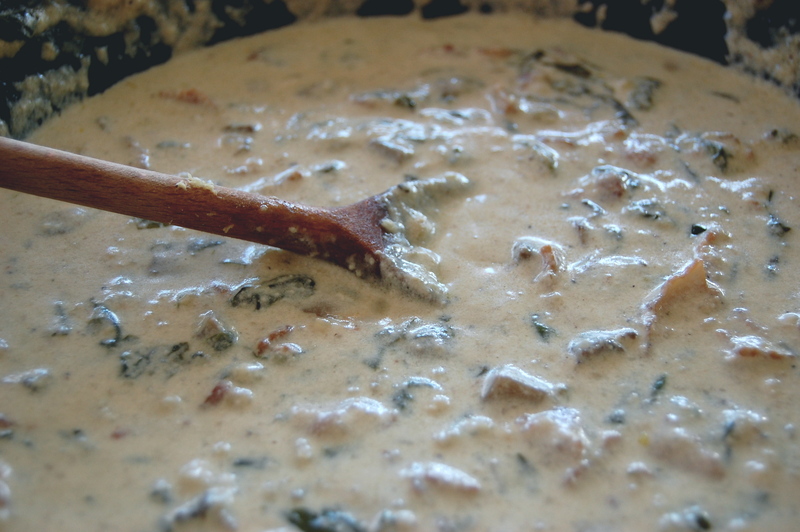 It’s basically a thinner white gravy, but where traditional Southern white gray is made with sausage, milk, flour, and heavy on the pepper, Ya Ya sauce starts with bacon fat. That’s right. And did I mention that the grits begin that way too? But we’ll get to that later. Back to the sauce. Ya Ya Sauce begins by rendering the fat from 4 slices of bacon that have been diced into 1-inch pieces. 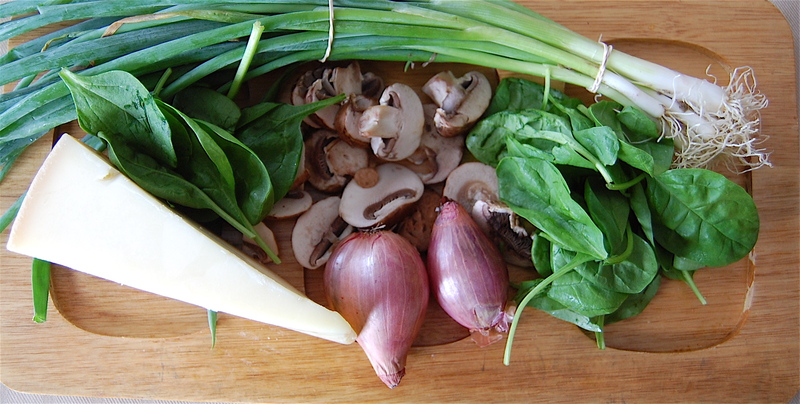 Once the bacon is crisp, remove it and add butter to saute mushrooms, shallots, garlic, and spinach. Then you hit em’ with a splash of white wine, add your bacon and and half and half and wait for it to thicken up. There are a few other steps in between, but you can see why I’m completely obsessed with it. It’s just about all my favorite things wrapped into one thick delicious sauce. It’s missing coffee and chocolate, but as much as i love the two, they’d be the uninvited party guests to this Ya Ya bash. When Josh and I first tried the Grits a Ya Ya, neither of us talked. We just looked at each other and literally could not believe how good it was. People always talk about Southern comfort food being the epitome of American dining, but this truly is Southern love in a bowl. If nothing else, Josh will be keeping me around as long as I know how to make this recipe. Directions for the Cheese Grits: In a medium sized pot, render the fat of 8 slices of bacon that has ben chopped into 1 inch pieces. Once crispy, remove the bacon. Add the chicken stock to a boil. Once boiling, add your grits and stir like constantly until it thicken up. Then, add in half and half. 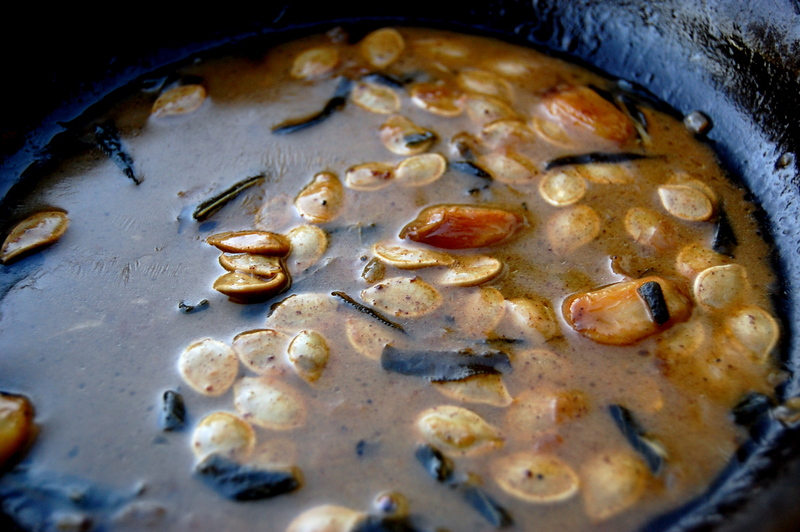 Reduce to simmer and stir occasionally, adding in milk as you go to suit your preferred thickness. Let cook for 40 minutes. Then add in butter and cheeses and stir until everything is combined. While the grits is cooking, begin on your Ya Ya Sauce and Shrimp. the bacon you removed from the pan will be added to the Ya Ya Sauce. Direction for the Shrimp: Preheat oven to 375 degrees fahrenheit. In a boil, add shrimp, lemon juice, salt, pepper, and scallions and massage until all the shrimp of coated. 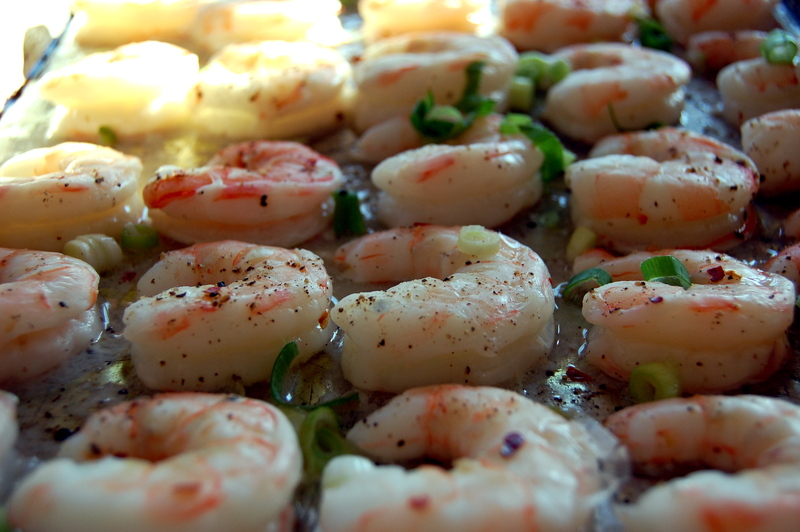 Arrange shrimp on a baking sheet and drizzle with remaining liquid and scallions. Bake for 15-20 minutes, just until the shrimp turn pink. Directions for the Ya Ya Sauce: In a medium size sauce pan, render the fat form 4 slices of bacon. Once crispy remove from pan and put it aside with the crispy bacon from the grits. Then add butter and olive oil and caramelize the mushrooms and shallots on medium-low heat. Then, add in garlic and cook for 20 seconds. Add in your white wine to de-glaze the pan. Then, add in half and half. Once it just begins to boil, turn heat to low and add in julienned spinach and bacon. Cook for about 20 minutes until it thickens up. Add salt, pepper, and hot sauce to taste. I typically only to 4-5 dashes of hot sauce. 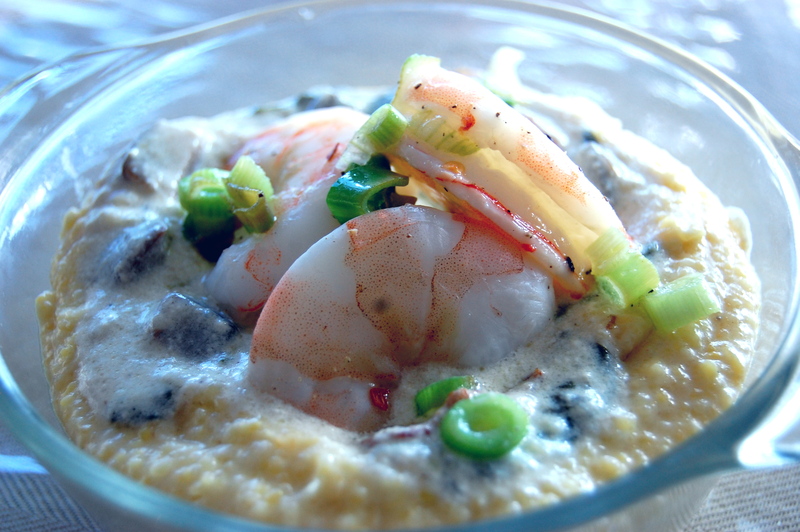 Assemble: Add your grits in a bowl, smother it with Ya Ya Sauce and decorate with some shrimp. Serious Southern cooking, seriously good. If you’ve never had grits, if you’ve never been down to the deep South, if you couldn’t imagine eating anything with this much butter and cream. I beg, you, give this recipe a try. Your mind will be blown! And so will your pant buttons…. but that’s why they have gyms. Life is balanced like that. Tuesday marks October first and I am more than happy to beat October to the punch by eating more pumpkin things than anyone else on planet Earth. Last weekend I ran into an old high school friend who said she couldn’t drink a Starbucks Pumpkin Spice Latte until October- to which I pondered on my gluttonous PSL intake since August. I have no regrets. Pumpkin is just one of those comforting fall flavors that you just wanna curl up in and fall asleep. It’s spicy and sweet, and with enough bacon, even savory. (Sorry, no bacon in this entry). Last October, my boyfriend Josh was preparing to leave to United Stated Air Force Basic Training. Much of my time then was spent ignoring the situation by feeding him pumpkin pancakes, coffee, cheesecake, literally anything I knew he wasn’t going to be eating while he was away. It must be the Italian in me, but I’m not happy unless I’m feeding people. How big is that bun? It really is true what they say, everything really is bigger in Texas. What better way to welcome Josh back home than with some warm, homemade Pumpkin Cinnamon Rolls? Though, mine are on the more regulation cinnamon roll size. My Pumpkin Cinnamon Rolls are brushed with bourbon syrup and sprinkled with a cocktail of spices before being wrapped up into a long log, cut into 1 inch slices, and left to rise before being baked off. Oh, and brushed with butter. 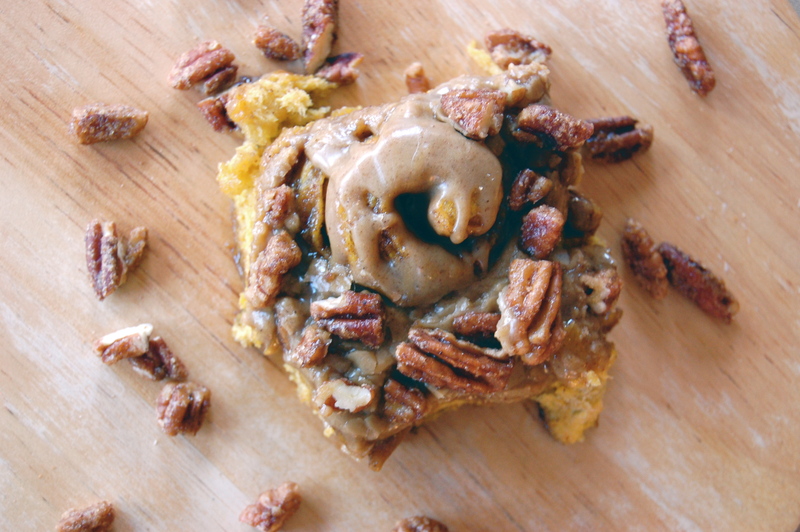 Because I can’t help myself, I topped the rolls off with caramel icing, leftover bourbon syrup, and candied pecans. If these rolls don’t scream, “WOW you literally have the best woman on planet Earth and should come home more often” then I don’t know what does! 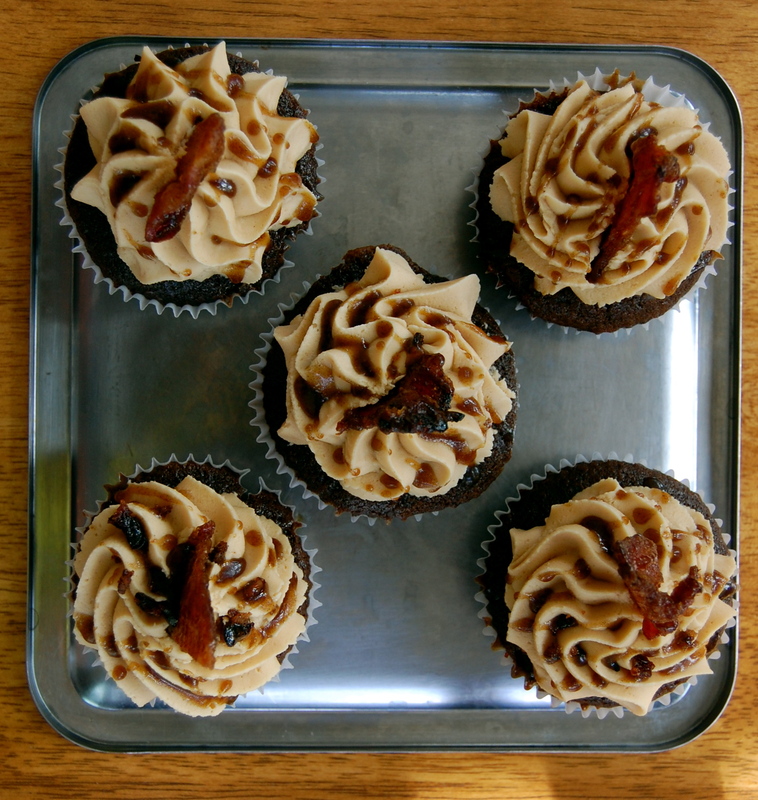 Well… maybe the Bacon Bourbon Cupcakes from my last entry have the same message. Some people find Cinnamon Rolls intimidating because they can be finicky and I used to agree. Anything with yeast used to scare me into thinking I was heading into an imminent cave of doom, not to mention the wrong kind of chewy, dense bready hell. But this recipe is easy peasy! Just remember, be patient and pay attention! That yeasty taste that we all know too well and hate happens when you leave the dough to rise for too long. When working with yeast, remember, yeast is not a fine wine. When it peaks, you gotta move. Don’t worry, I timed it all out for you. Don’t be intimidated by the long list of ingredients. It’s repetitive, just broken down to make it easier to track. This is a VERY SIMPLE recipe that will impress all. 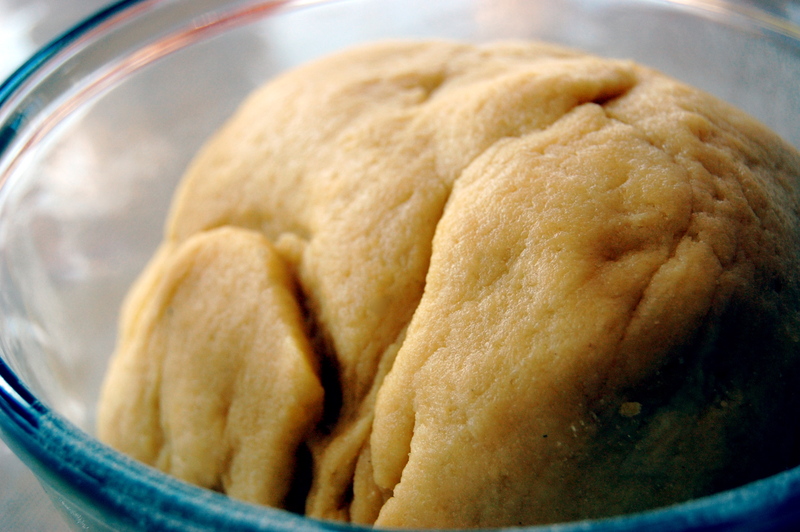 Directions for the Dough: Proof the yeast by combining the yeast and the warm water. Mix with a fork until the yeast just dissolved. Then, let proof for 5-10 minutes. When it is fully proofed, it will have doubled in size and formed a thick coat of bubbles and foam. Meanwhile, melt 2 tablespoons of butter and milk in a small saucepan. Let cool for a few minutes. 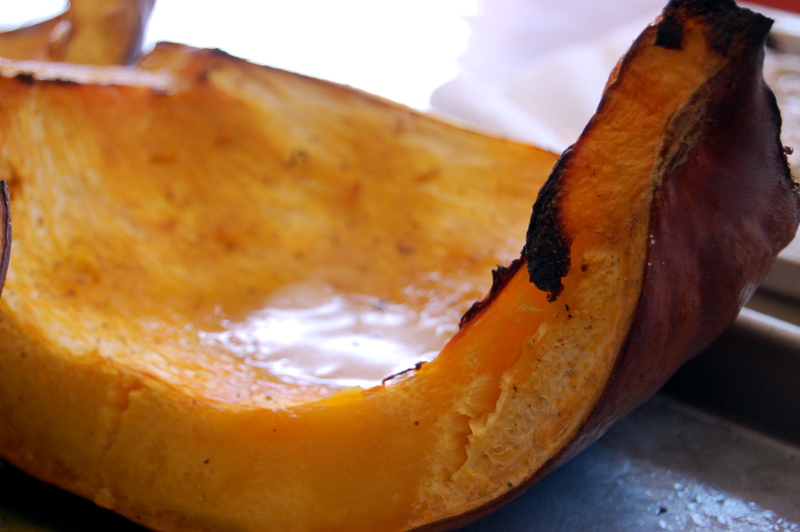 In an electric mixer, combine the pumpkin puree, sugar, cinnamon, nutmeg, ground ginger, cloves, and salt. Once combined, beat in an egg. Then, add in your proofed yeast. On a medium-low speed, mix in your bread flour 1/2 cup at a time. Once all the flour is in the bowl, mix on low speed for about 3 minutes. It will be a soft, gooey dough. Do not get nervous if it looks too “loose.” I promise you’re doing it right! Then, you want to place the dough in a lightly greased bowl. Place the dough in a dark, warm place to rise for 1 hour. 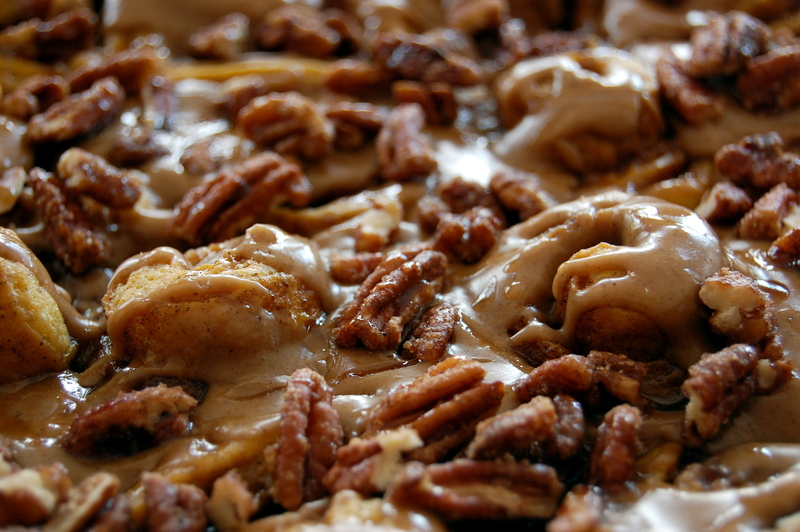 While the dough is rising, now is the time to get started on your bourbon syrup, caramel icing, and candied pecans. Directions for the Bourbon Syrup: In a saucepan, bring bourbon, butter, dark brown sugar, and maple syrup to a boil. Then turn to low heat and let reduce for about 40 minutes until it thickens up. Turn off heat. As it cools it will thicken. Directions for the Caramel Syrup: Brown the butter in a medium saucepan. Then, add in brown sugar and milk until it is all melted, about 1-3 minutes. Then, remove from heat and add in vanilla, cinnamon, nutmeg, and salt. When it is all mixed together, add in the powdered sugar. As it cools, it will thicken slightly, but you want it to be a little on the thin side. If you add too much powdered sugar, it will form a frosting. 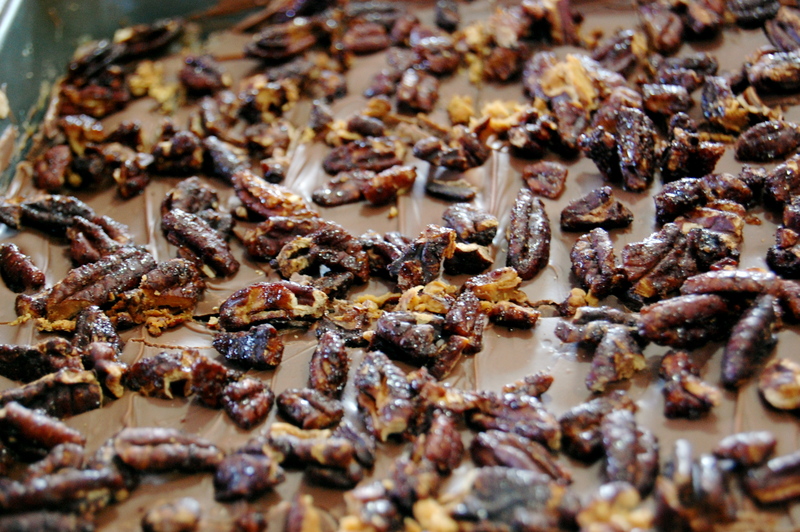 Directions for the Candied Pecans: Preheat the oven to 400 degree Fahrenheit. On a small buttered baking sheet, mix pecans with dark brown sugar, maple syrup, cinnamon, nutmeg, and salt until all the nuts are covered. The bake for 10-15 minutes until just brown and toasty. Let cool completely. 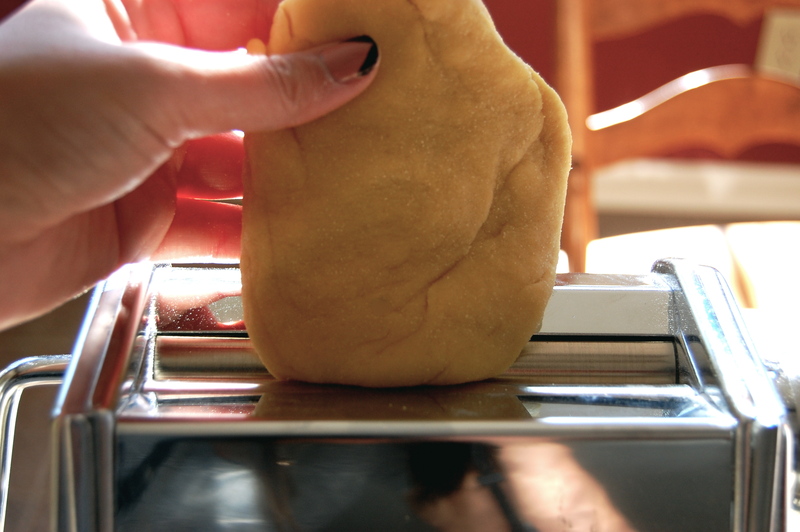 BACK TO THE DOUGH: Now that your dough has risen, roll out to a rectangle shape thing. I’m not looking for perfection. This is what mine looked like. Does that look like a perfect angle to you? In a separate bowl, mix together the dark brown sugar, cinnamon, and nutmeg. Once your dough is rolled out, brush it with the bourbon syrup, but saving some to drizzle on top later on. 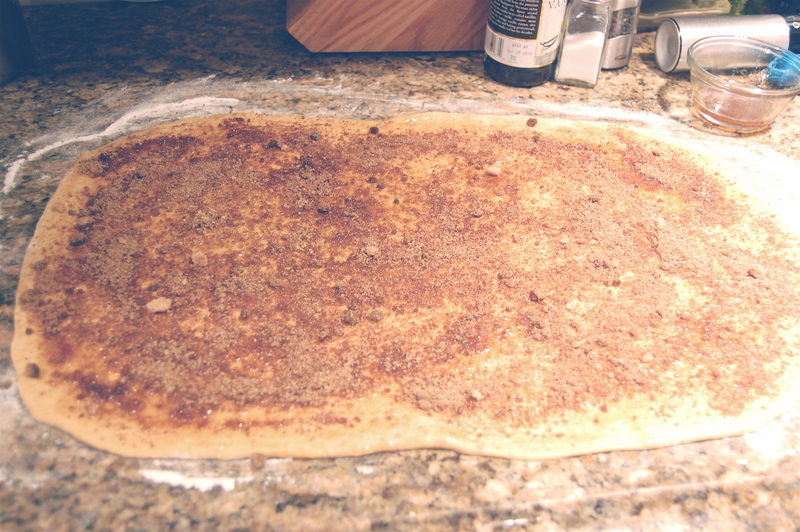 then, rub the brown sugar mixture to your dough. It will look like this. Then, gently roll your dough into a long log, like a jelly roll. Prepare a generously buttered 11×17 baking pan. Cut the log into 1 inch slices and place in the pan. Once your log is sliced and placed into the pan, cover and let rise again for 45 minutes in a dark, warm place. During this time, heat oven to 350 degreed fahrenheit. Once the rolls are doubled in size. Melt 2 tablespoons of butter and brush the tops of the rolls with butter and bake for 20-25 minutes. 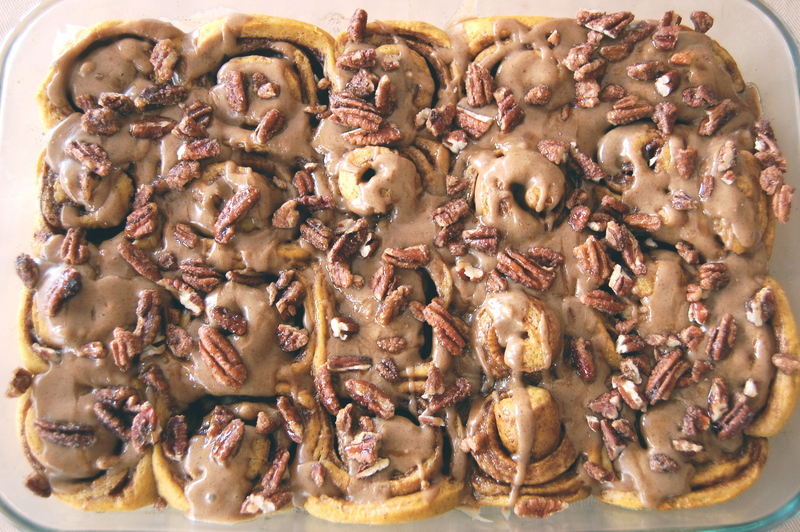 Assemble: While the Cinnamon rolls are warm, drizzle with the caramel icing and bourbon syrup and embellish those rolls with the candied pecans. Let cool for 15 minutes before serving. How can you say no to these pumpkin rolls of sweet, sweet love? I mean, you just can’t. 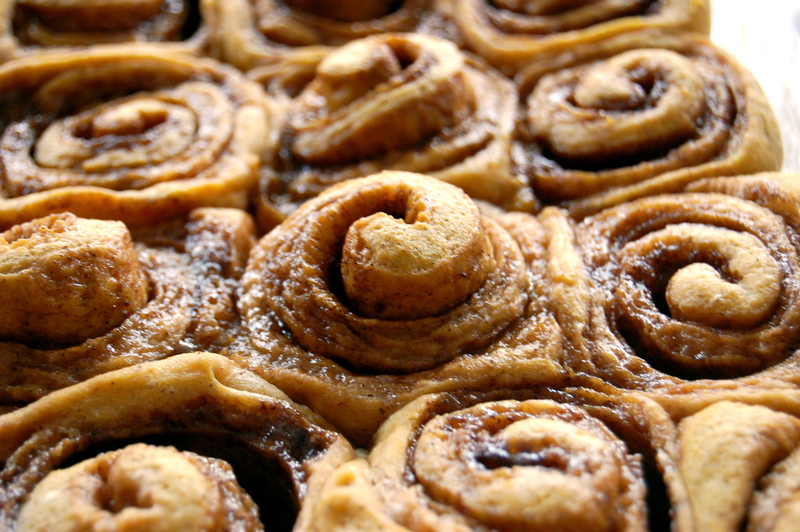 Even if you’ve never worked with yeast, or have had cinnamon roll nightmares, if you follow these steps, you will be eating these rolls in about 2 1/2-3 hours. Do you know what this is? Bourbon Syrup for Maple Bacon topped Chocolate Peanut Butter Cupcake with Bourbon Syrup. Men really are just THAT simple. From my 24-year old, unmarried, un-children-ed perspective. They have 5 “Must Have” B’s: Bacon, Booze, Babes, Beards, and Baseball (or other sport). This recipe contains 2 of the 5 B’s, made by a 3rd B, but then again, I’m clearly bias. (The 3rd B was babe, that’d be me… crickets? really?). As for the Beard and Baseball, I mean- they’re not in this recipe, but you are more than welcome to get creative. 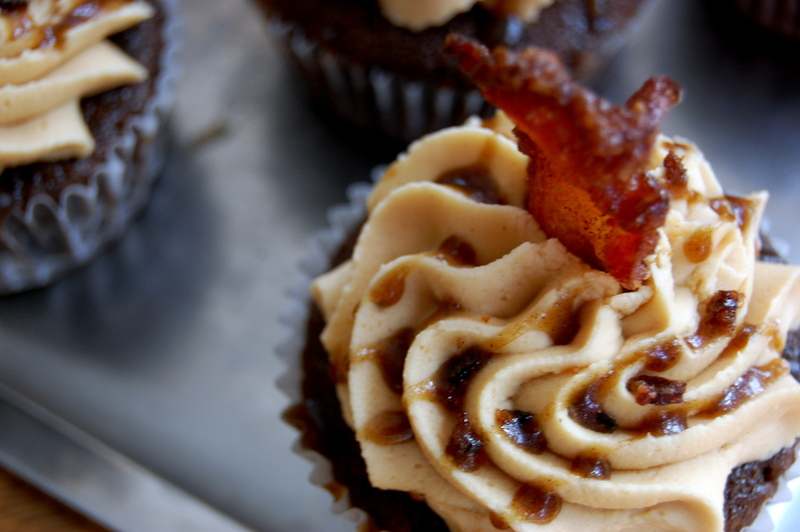 Let me introduce, The Manly Cupcake: A moist chocolate cake with fluffy peanut butter frosting and topped with sticky-sweet bourbon syrup and hard-candied maple bacon. I mean DAYUUMMMMM!!! Such bliss truly does exist! 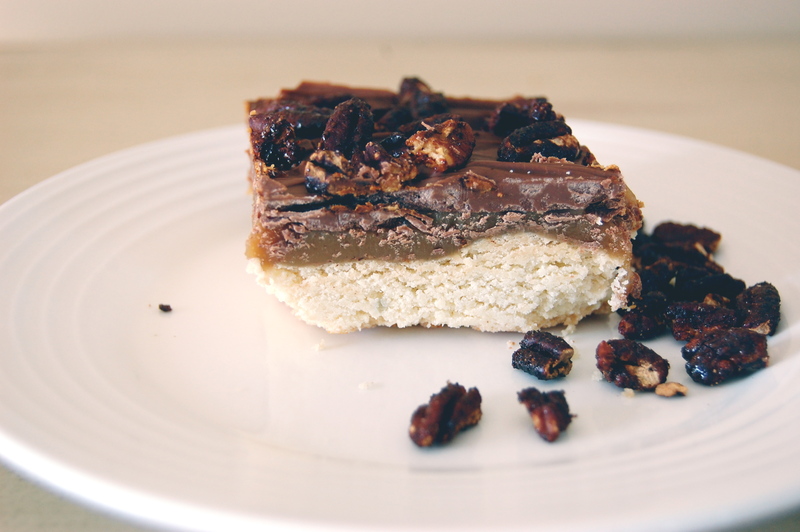 I initially wanted to save this recipe for a mid-fall treat, but after I brought these into work and received rave reviews, I figured the sooner I post the better. The sooner you get baking and chomping on this salty sweet love cakes the better… I mean man cakes, because they’re manly. Because they have bacon. And bourbon. And because they’ll get peanut butter frosting in your hipster man beard. DO YOU SEE THIS??? Take another look. Bacon is everywhere. So much so that I read pretty soon our love of piggy piggy pork is going to drive the cost higher than a skyscraper. 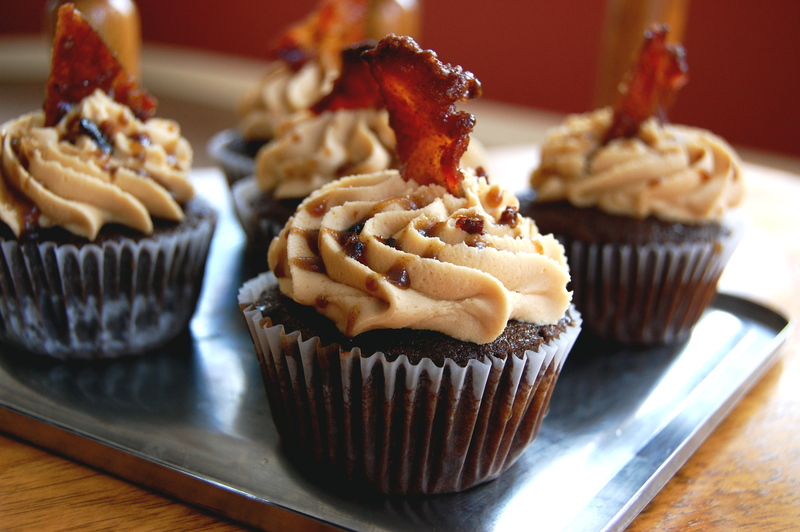 I foresee black market pork exchanges in America’s future, but until then, lets slap it on a burger, cuddle a hot dog in it’s sweet fatty blanket, and grease up a perfectly good chocolate peanut butter cupcake with a big ole salty slice of pork! 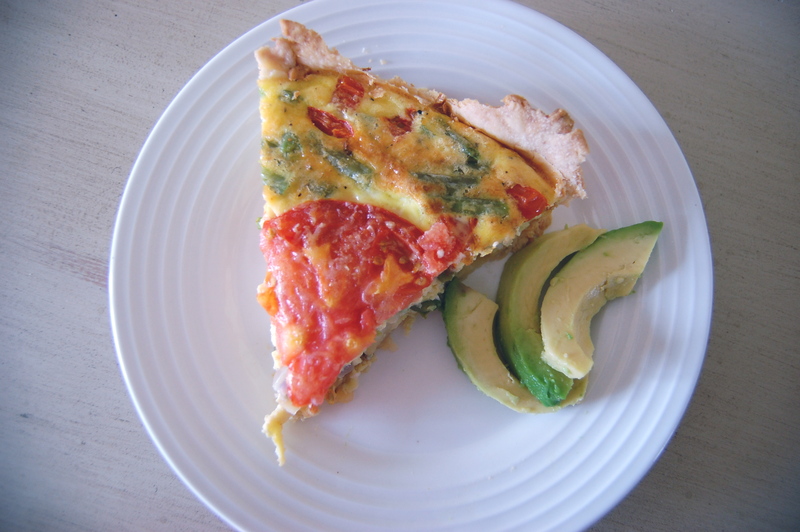 This blog entry is like a vegetarian’s worst nightmare. 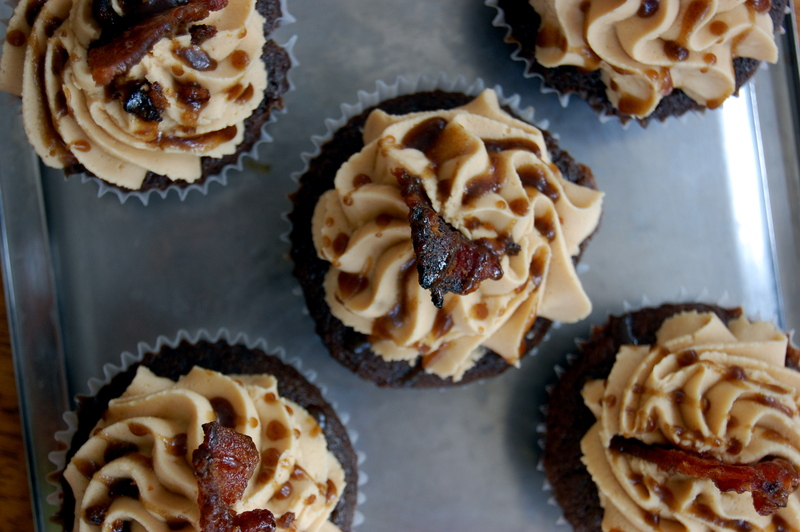 For the Maple Candied Bacon: Wait until the cupcakes are done cooking before you proceed. Once the cupcakes are baked, preheat oven to 400 degreed Fahrenheit. 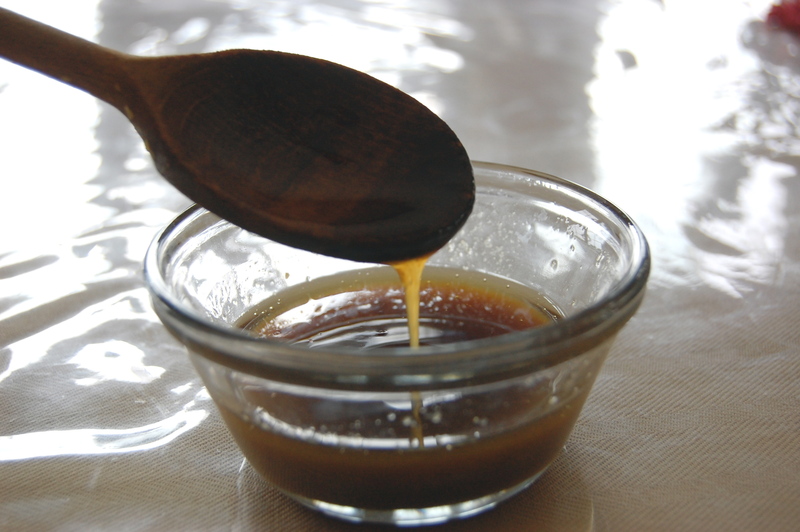 Pour maple syrup in one bowl and in another bowl, mix together the brown sugar, cinnamon, nutmeg, and cayenne pepper. Dip the bacon in the syrup so it is fully coated. 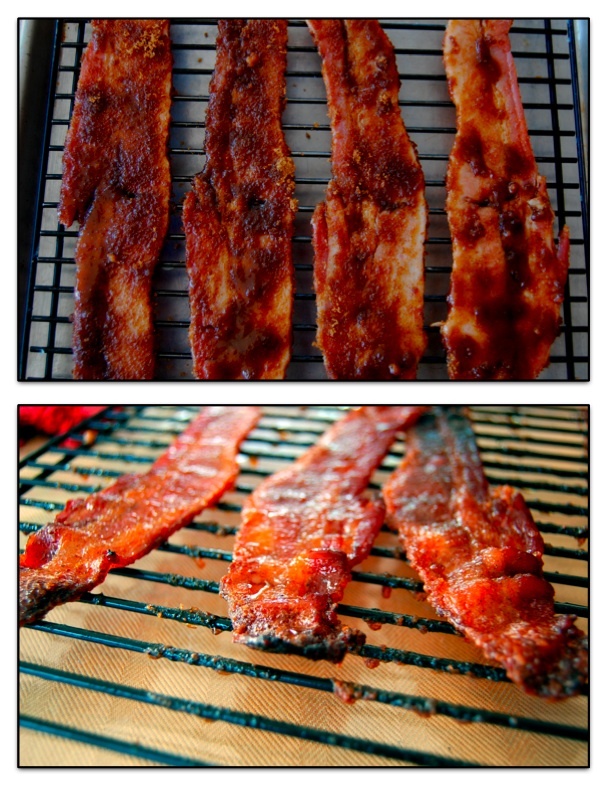 Then rub the brown sugar mixture into the bacon until it is completely coated in the sugar. Do this for all 4 pieces of bacon. Then, bake for 20-25 minutes until it is dark brown in color. If it is undercooked, it will not candy and become a hard salty treat. For the Bourbon Syrup: In a small pan, bring bourbon to a rolling boil. Turn to low and add in maple syrup, butter, and dark brown sugar. Then cook covered for 30-40 minutes until it thickens up and reduces to about 1/3 cup. Let cool before topping the cupcakes. For the Peanut Butter Frosting: In an electric mixer, beat the butter and peanut butter. Then, add in the vanilla extract. Beat in the powdered sugar until it forms thick “beads.” Add more powdered sugar, if necessary. Then add in milk one tablespoon at a time until it reached your desired consistency. I like mine a little fluffier so I add add a little more milk and beat for a full 2 minutes. 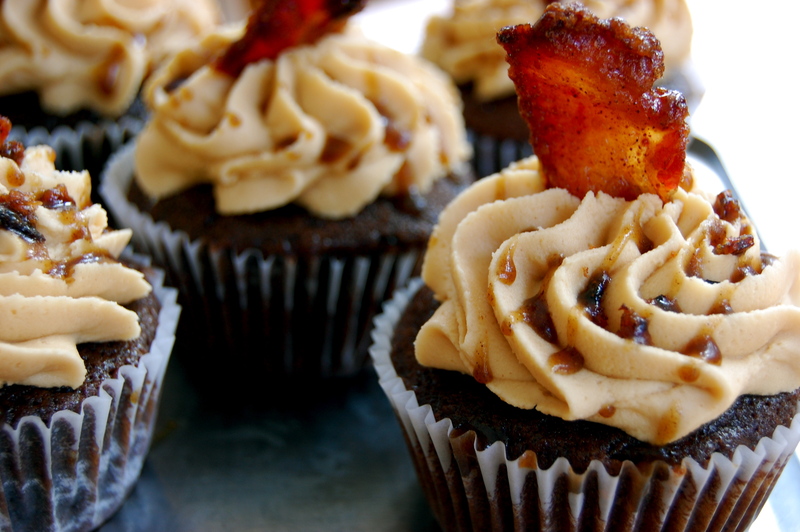 To assemble, frost your cupcakes, top with your delicious candy bacon, and drizzle that bourbon goodness all over the place! Do you want something specific from your boyfriend/husband/male of any relationship? Bake these bad boys and I dare him to tell you no. I really hope my boyfriend isn’t reading this. Actually, no- he better be reading this! I am back from my quick stint in Florida and have never been more sad to leave, but at the same time more happy to get home to Jersey to this cool pre-Fall weather. Florida is hot ya’ll! I spent my last afternoon in Valparaiso feeling my skin burn on Eglin’s Military beach, though the water and company did provide some refuge. Anyway, back to food and back to books. As I mentioned in my last post, I brought the novel Stormy Weather by Carl Hiaasen with me on my travels and dug into most of it sitting around Atlanta’s Hartsfield-Jackson Airport and on my flight to and from Florida. Stormy Weather has a lot going for it. I mean, the list of unlovable characters that you can’t help but adore is endless. There’s a prostitute, Edie, and her pimp, Snapper, who attempt multiple insurance frauds with the occasional beat-down/murder-driven encounters. Then there’s the self-centered newlywed Max who literally leaves his wife Bonnie on the streets of hurricane-torn Miami to chase the feral monkey that stole his video camera. Did I mention he was taking footage of the devastation to sell to news stations? His persuit of the monkey inevitably got him kidnapped by ex-governer turned toad-poison smoking drug addict Skink. I said that right, toad-poison smoking drug addict. Skink happens to be friends with a gentleman named Augustine, of which whom Bonnie (Max’s bride) falls for. And as a real kicker, Augustine inherited his Uncle’s collection of exotic anmals from his zoo, all of which escaped from their cages during the hurricane- including a certain feral monkey. All those loons, plus a son wanting to avenge his mothers death by killing the salesman who sold her a flimsy house, crazed ex-wife who is wants to run back to her ex-husband after she learned of her old home’s value and her current boyfriend’s affair, and two poor Dachshunds caught up in the mess of it all. Even though it seems like I gave away a lot, I really only told you the first 50 pages. You can’t even imagine or guess what happened from pages 51 through 380. I’ll give one part away, kind of. There is a crucifixion gone completely wrong, but totally as planned at the same time. All I’ll say is, when I read the crucifixion scene, I had to read it twice because I couldn’t believe it. I’d never laughed so hard in public. Also an interesting point, Stormy Weather is written in third person omniscient, meaning the narrator, who I believe is the hurricane, reports on events, feelings, and thoughts from the perspective of any character at any time. And more interestingly, it was done really well! Third person can be difficult to write in, especially when the perspective travels a lot. Considering the sheer load of characters the novel follows, Hiaasen took on a great challenge when he decided to write from this point of view. For a schmuck writer, like myself, this technique would be an epic failure. But for dark-comedic writer Hiassan, it came so naturally. I applaud you. So how does this relate to quiche? Well it doesn’t. In fact, the quiche is very boring in comparison to this novel. 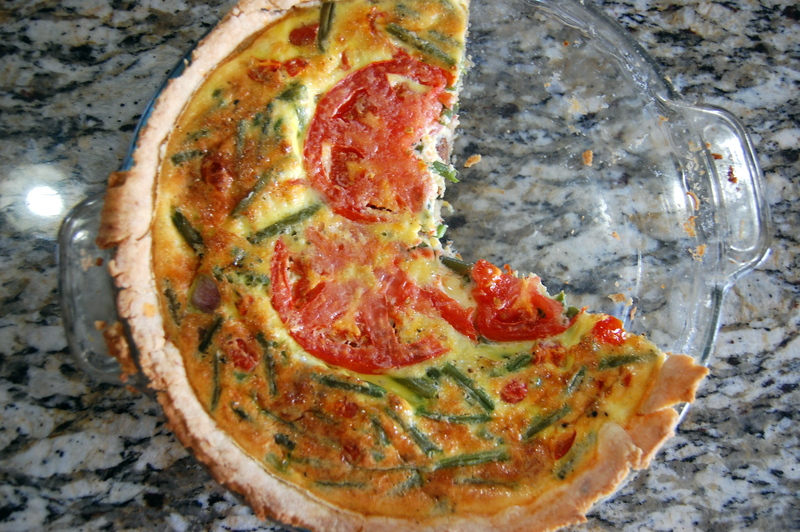 But just as Stormy Weather was a nice season capper to Summer, so is this quiche. Made with Summer vegetables, but still acting as a food blanket to cool end of Summer morning, it’s also kind of like a season capper. Anyway, you should really read Stormy Weather because there’s only one guy sick enough to think of the kinds of things written in this book, and that’s the author. And I say sick in the nicest, more endearing way possible. For the Pastry: Sift together flour, sugar, and salt. 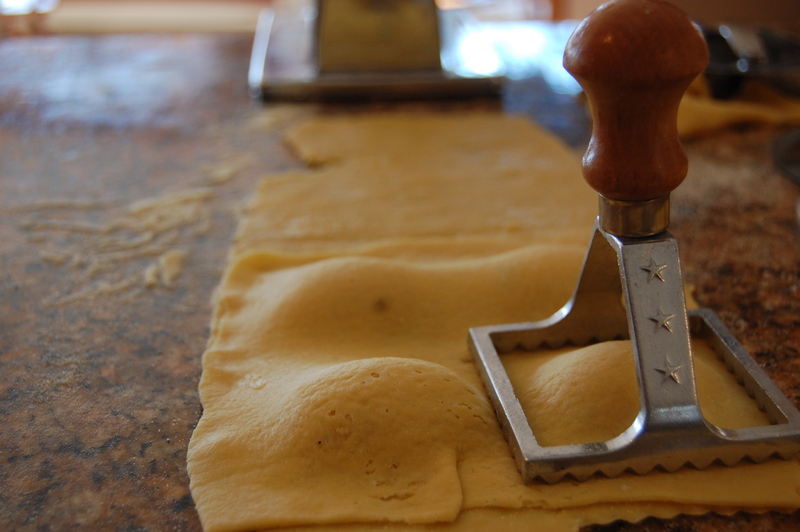 Using a pastry cutter, cut in the butter and shortening. When it forms pea-sized crumbles, add in ice cold water until it just comes together. Roll out on a floured surface. Grease a 9-inch round pie with a TON of butter and lay your crust down. Sprinkle with parmesan cheese. Refrigerate while you prepare the filling. For the Filling: Preheat oven to 350 Degree Fahrenheit. In a saute pan, heat butter and 1 Tablespoon olive oil. Add potatoes and onions to the heated pan, giving them a light sprinkle of salt and pepper. Cook until just fork tender. Set aside to cool. Beat the eggs with the milk, salt, pepper, and sirracha. 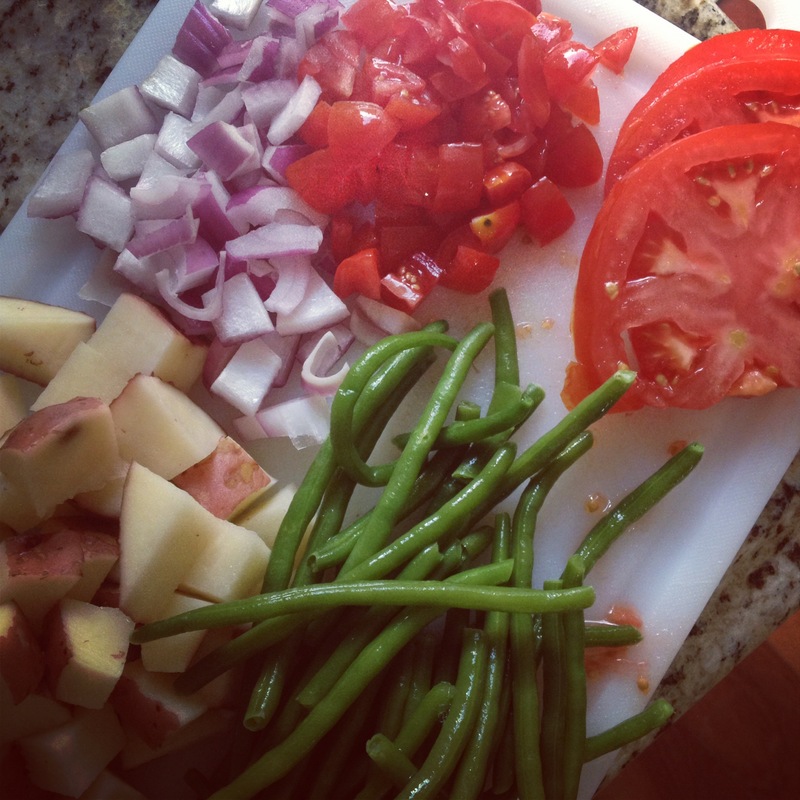 Then add in cooled potato and onion mixture, green beans, diced tomatoes, and parmesan cheese. 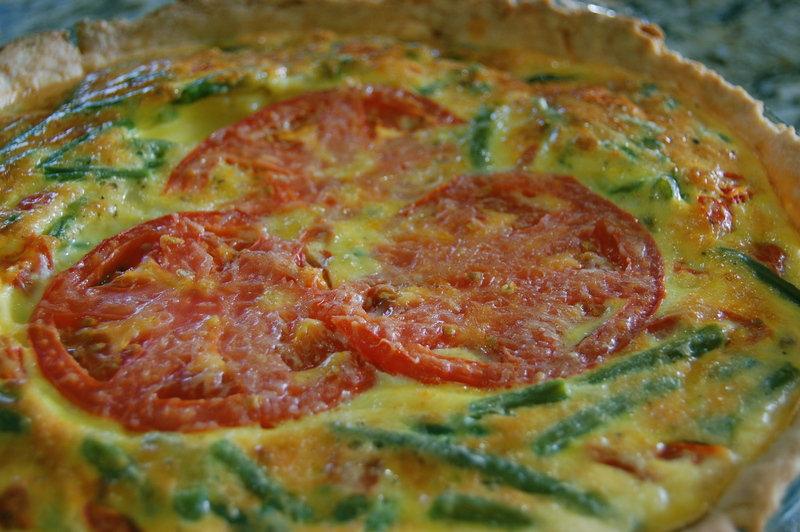 Pour the mixture into the pie pan and place the slices on tomato on top. Drizzle with olive oil. Bake for 25-30 minutes. Let cool and serve with sliced avocado. Oh to travel, a grand notion to some is a total nightmare for me. Tomorrow, I will be traveling to the good old Gulf Coast of Florida and no matter how many pre-flight preparations I embark on, the only one that usually has some successful follow through is the part where I get my nails done. Maybe it’s just a pre-trip preparation for girls. Well anyway, even that didn’t go great this time! I’m stuck with nails the color of Barney. In addition to nails that look like I scratched Barney’s face in a crazy act of self defense, I’ve got a luggage full of mismatched clothes, liquid toiletries seeping out of my 1 quart sized zip-lock baggy, and a binder full of “important travel documents,” i.e. every print out confirmation e-mail from Delta Airlines, Hotwire, Trip Advisor, and Travelocity. You’d think I’m traveling to Kenya for a month, when I’m going to Eglin AFB in Valparaiso, FL for four days. Of course included in my Doomsday preparation-type packing style, is a good read for the airport. I say airport, rather than plane because I spend the majority of the plane in and out of sedation and reciting the Hail Mary with no time for reading. Did I mention flying is my biggest fear? I’m not the subtly nervous flyer, I’m the vocal, get me off this death box in the sky, type of flyer. I’m really not the ideal person you want to get stuck sitting next to on the plane, but I have gotten better at flying. I mean, I don’t pass out anymore. That’s a huge step. My one friend let me borrow her book titled Stormy Weather by Carl Hiaasen for this trip. This novel takes place during the height of tourist season in South Florida, when a destructive hurricane sweeps through the area. In addition to Mother Nature’s wrath, the storm lures crooks of all crimes into the area- looting homes, scamming the most vulnerable, and bringing the most unlikely of characters into contact. My friend recommended this book because I am a sucker for a good dark comedy. I am only two chapters in, but so far I’ve been introduced to newlyweds Bonnie and Max. Bonnie, who really just wants to go to Epcot, is pressured by her new husband to chase the newly notorious storm, bringing them into the center of both the storm and society’s destruction. I’m using the word “destruction” a lot- it’s a little over the top of me. Anyway a full book report upon my return! And no worries, its supposed to be blue skies and green Gulf waters for my trip, no hurricanes for me- thank God. For the cake: Preheat the oven to 350 degreed fahrenheit. In an electric mixer, beat the butter and sugar until fluffy. Add in vanilla extract and eggs, one at a time and set aside. In a separate bowl, sift together the four, cocoa powder, baking powder, and salt. Then, alternate adding the dry ingredients and milk into the wet ingredients. Mix in the mini chocolate chips. Bake in four 9 inch baking rounds that have been overly greased with butter and bake for 25-30 minutes or until toothpick clean. Let cool for an hour before frosting. 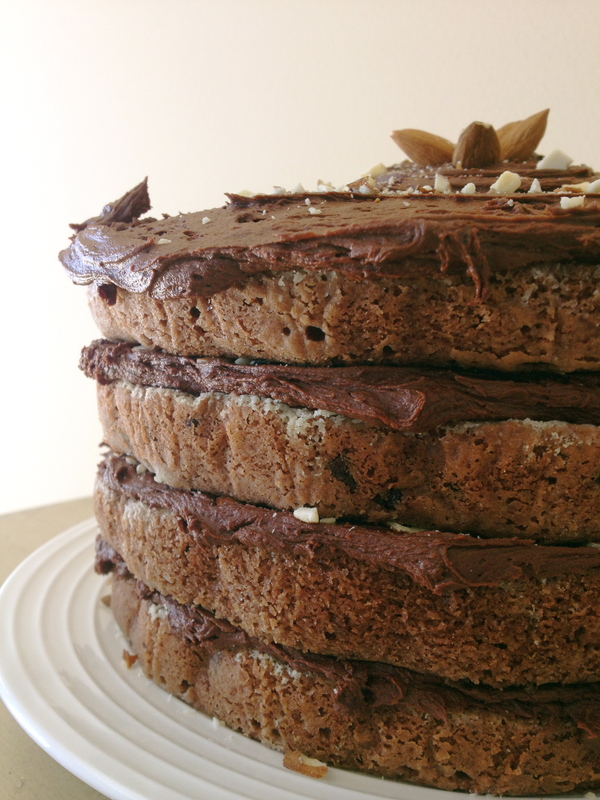 This cake will be flat, dense, but super moist- hence, Fudge Cake. 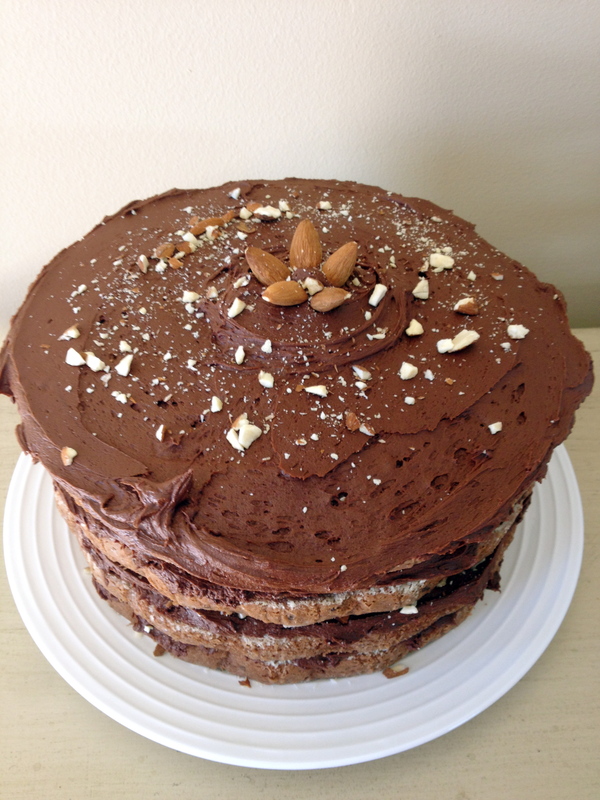 For the icing: While the cakes are baking, beat the butter and cocoa powder in an electric mixer until it is creamy. Add in powdered sugar, vanilla extract and milk. Beat until well incorporated. Then, add in nutella and beat until fluffy. Add more milk if needed. For the topping: Toast the almonds for 5 minutes at 350 degrees fahrenheit. Do not do this while the cakes are baking. Opening the oven while baking causes the cakes to sink in the middle. Once the almonds are toasted, crush them using a rolling pin or your fists- depending how much aggression you need to let out. 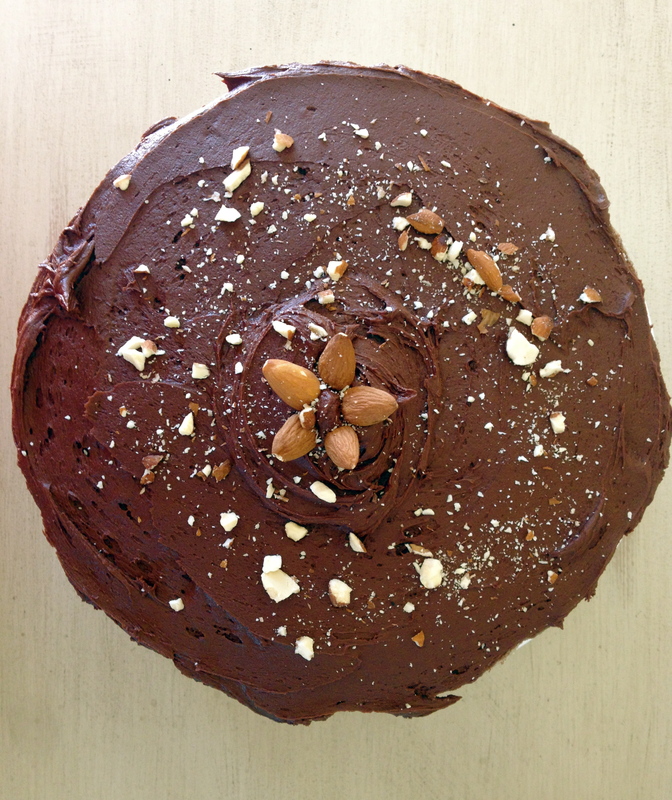 To assemble, frost one later of the cake and then sprinkle it with crushed almonds before adding another layer of cake. Do this three times. 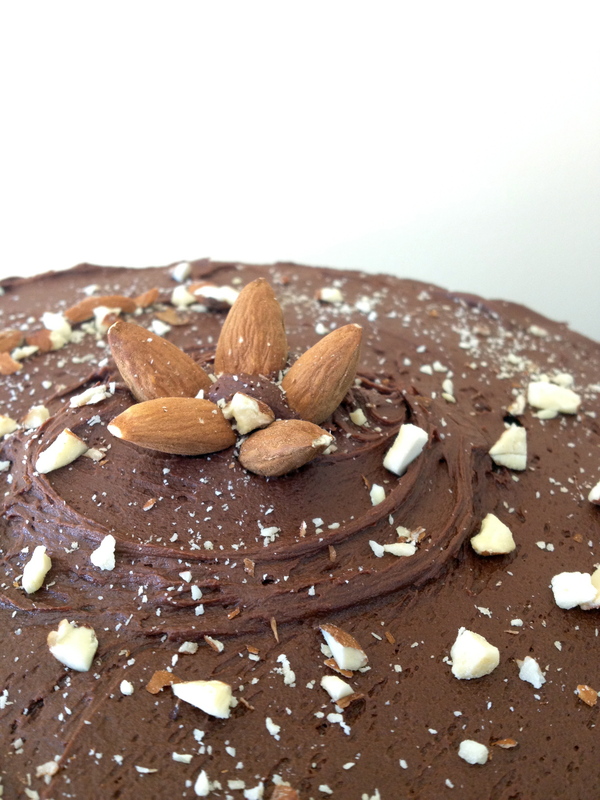 For the top of the cake, more generously frost it with the chocolate frosting and decorate with almonds. 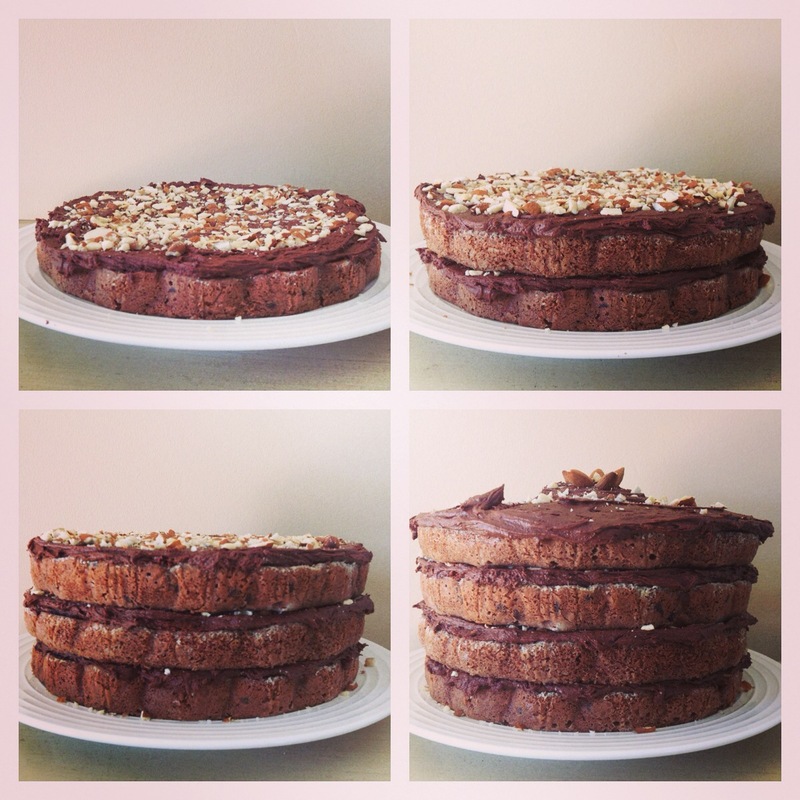 Go ahead… embrace this thick and fudgy chocolate goodness and a good book. 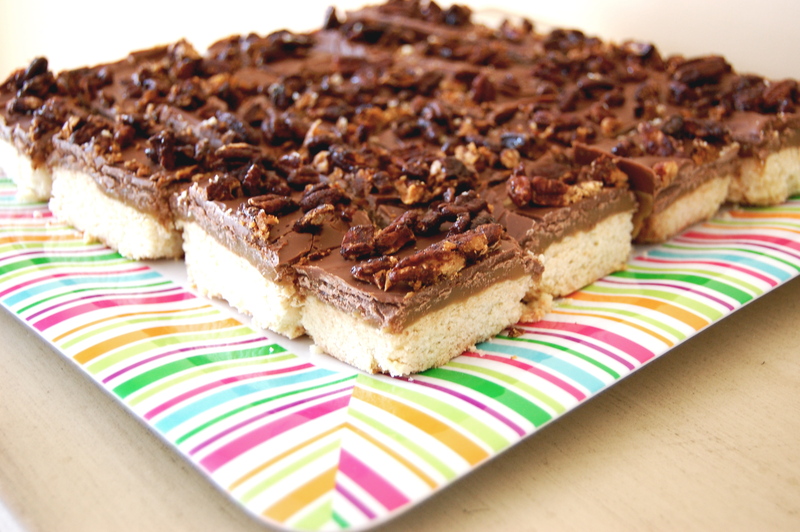 I’m going to share something very special with all of you- My recipe for Billionaire Bars. Why? Why are they so special you ask? Let me ask you a few things. Do you like buttery flakey cookies that crumble with the most delicate bite? Or deep, dark, molasses caramel that just melts into perfection beneath Ghiradelli milk chocolate? 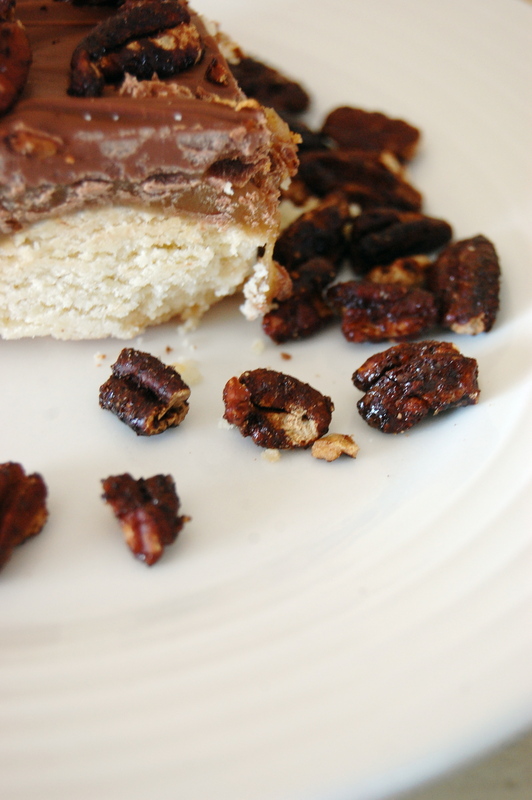 How about salty and sweet maple candied pecans that have been gently tickled with some warm nutmeg and cinnamon notes? That’s what I thought- that’s exactly what I thought. It’s been some time since I’ve paired a recipe with a book so I asked myself, what novel is the epitome of luxury and scandal and thrives on the darkest of all secrets? Duh, The Great Gatsby by F. Scott Fitzgerald. I’m just throwing this on the table, I have never seen the film version of the novel and am unsure how closely they compare. With that said, this entry is based solely on my high school AP English class recollection of the novel. Just as The Great Gatsby’s West Egg is home to new money and East Egg is home to old money, this recipe is inspired by Blue-Eyed Baker’s recipe for Millionaire Shortbread. In this scenario, I am West Egg- call me Nick Carraway. The Great Gatsby follows Nick Carraway, Tom and Daisy Buchanan, Jordan Baker, and Jay Gatsby as they throw extravagant parties across city and social class lines, linger in the shadows of their scandalous pasts, and strive to rekindle a love that ends in tragedy. I don’t want to insult this great piece of literature by comparing it to E!’s Real Housewives series. I’ll just say for those younger readers, The Great is the original Real Housewives. My Billionaire Bars and The Great Gatsby are seductively sweet, salty, and scandalous. Bring these to a party once and I can guarantee you’ll be invited to all the neighborhood bashes. Or if you live the life of Daisy Buchanan, neighborhood balls. 2 1/2 Cups Ghiradelli milk chocolate chips. Any milk chocolate chips will work. 1 Tablespoon maple syrup, though Aunt Jemima will work just fine. For the Shortbread Cookie: Preheat oven to 350 degrees Fahrenheit. In a mixer, beat the butter and sugar until fluffy. Then add in vanilla extract. In a separate bowl, sift flour, salt, and cornstarch. Add dry ingredients to the butter mixture on medium speed. beat until it forms pea-sized crumbles. Pour the dough into an overly buttered 9x 13 pan and press down with your hands. Bake for 25-30 minutes until the sized just begin to turn light brown. 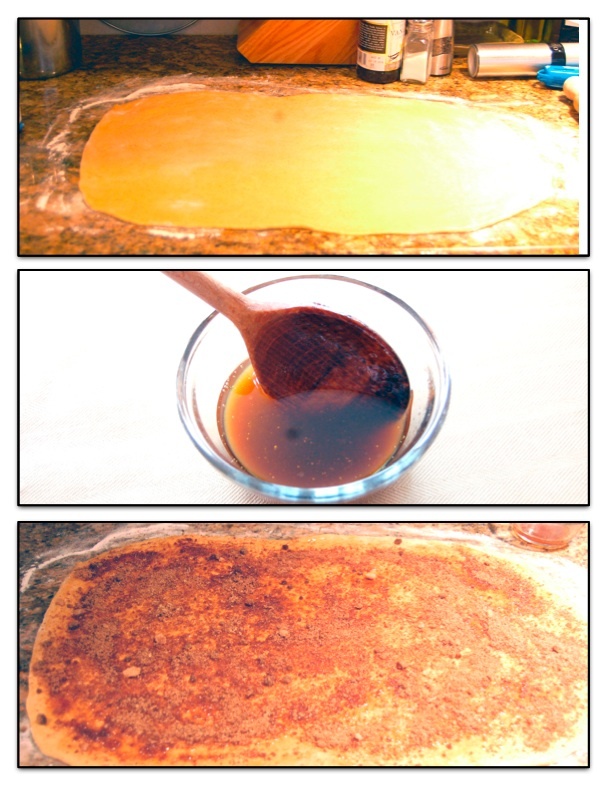 For the Caramel: Once the cookie is removed, begin to prepare the caramel. Go into this expecting a light arm workout as you will constantly be stirring. In a saucepan, brown the butter on medium heat and stir constantly. When you brown butter, it will begin to get foamy. This is what you want. It will start to bubble, turn into foam, and then back to bubbly. It will brown up quickly and when this starts to happen, remove from heat to ensure it won’t burn. Add the brown sugar, dark corn syrup, and sweetened condensed milk. Put back on heat and stir constantly on medium heat until it begins to boil. Then pour over top the shortbread cookie and refrigerate for 2-3 hours until the caramel has hardened. For the Topping: Preheat oven to 350 degreed fahrenheit. On a butter baking sheet, coat the pecans with cinnamon, nutmeg, dark brown sugar, salt, and maple syrup. Bake for 10 minutes until they just begin to brown. As they cool they will begin to harden. Melt the chocolate chips over a double boiler OR microwave in 30 second intervals until it melts. Spread the melted chocolate over the hardened caramel. Then, scatter the pecans on top. Let harden at room temperature or refrigerate for 1 hour. 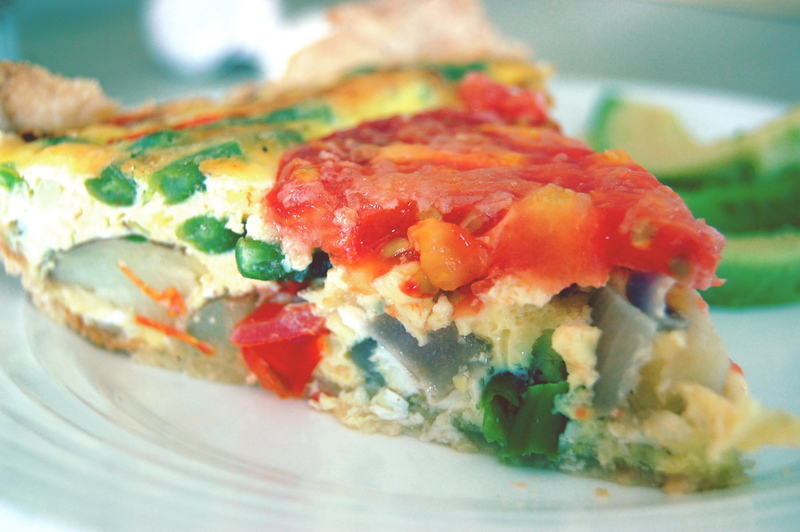 If you refrigerate, remove from fridge ten minutes before serving as it is easier to slice that way.